Boerenjongens is a specialty from the Groningen province in the north of the Netherlands. It is made with sultanas (a type of raisin), brandy and spices. It's traditionally served on special occasions, such as Christmas or country weddings. In fact, its popularity at old country weddings, where the bride would serve it to guests from a large silver, earthenware or glass vessel, earned it the name of bruidstranen ('bride's tears'). Boerenjongens are often enjoyed as a drink in a glass with a little fork or spoon to scoop out the brandy-soaked sultanas. 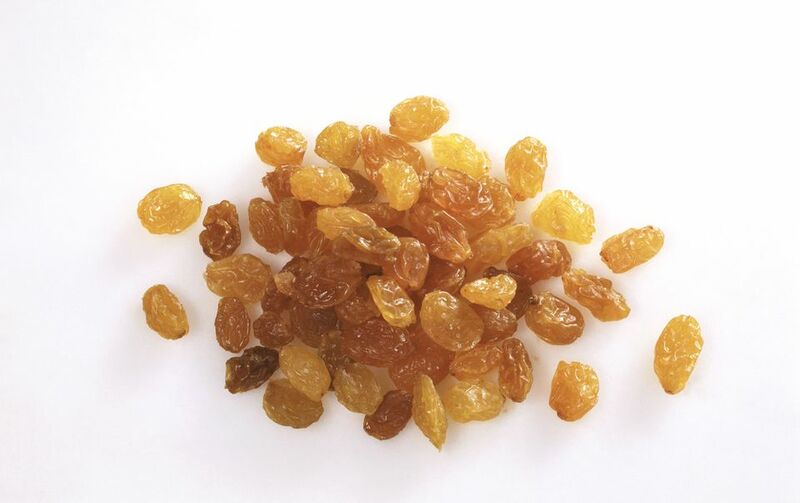 Today, the sultanas are often scooped out and added to ice creams, desserts, and cakes. This recipe is more than just a Dutch version of rum raisins. In fact, the Dutch have been making and trading brandy for so long that the English word for brandy comes from the Dutch brandewijn ("burnt wine", which refers to the distillation process). The art of distillation can be traced back to the ancient civilizations, but by the Middle Ages, the frugal Dutch used it as a means to preserve wine. The brandy itself was often used for fruit preservation. Add the sugar and water to a saucepan and cook over a medium heat until the sugar has dissolved. With a sharp knife, pare off two very thin strips of lemon peel (try not to get too much of the pith, which will add a bitter taste). Add the lemon zest to the saucepan, along with the sultanas, honey, vanilla, and spices. Cook on a low heat until the fruit has swelled and softened. Bring to the boil, and then using a slotted spoon immediately scoop the sultanas into a couple of sterilized jam jars. Now reduce the remaining liquid until it thickens. Remove from the heat and allow to cool. Remove the lemon zest and spices. Pour the liquid over the sultanas. Add the brandy. Seal the jars tightly, shake and store in a cool, dark place for at least 6 weeks before consuming. They're even better after 3 months and will keep unopened for a year. Once opened, keep chilled. Sterilize jam jars and lids by washing them in warm, soapy water, rinsing thoroughly and then allowing them to dry in a warm oven (250 F or 130 C). Use lots of small jars instead of one large jar to give away some boerenjongens as holiday gifts to friends and family.